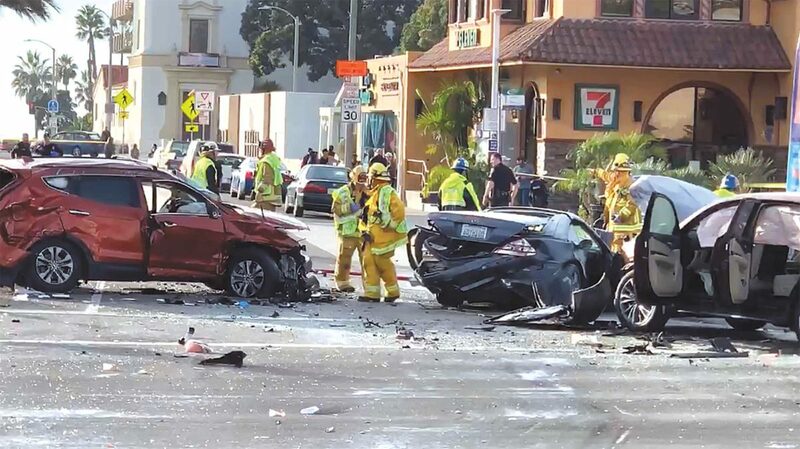 While rumors swirl around the cause of last Wednesday’s deadly crash at Pacific Coast Highway and Torrance Boulevard, the established facts are clear: One person is dead, and six others were injured when a car ran a red light at the intersection, colliding with six cars before coming to a stop. 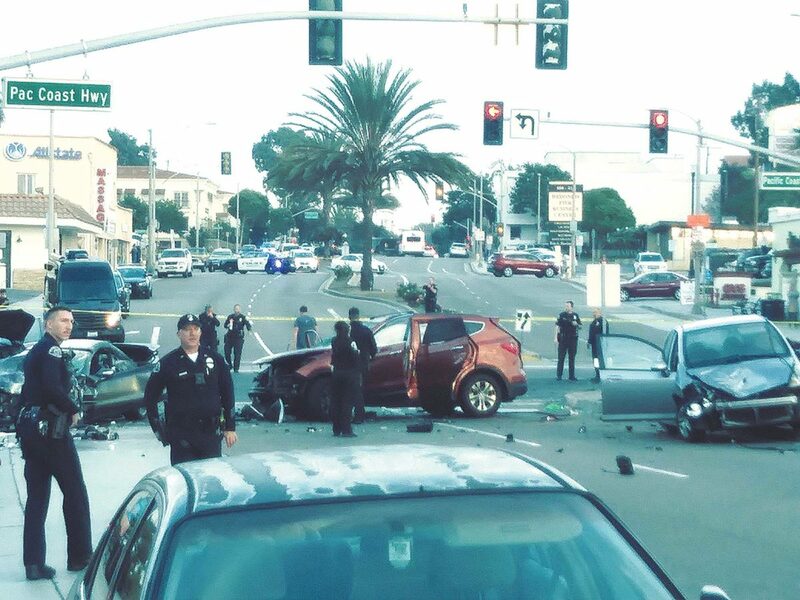 According to Redondo Beach Police, the crash happened at about 2:50 p.m. on Nov. 21, when a vehicle on Torrance Boulevard traveled westbound toward PCH, approaching a stale red light — a red light that was soon to turn green. The vehicle then continued through, striking north- and southbound vehicles. The driver of the vehicle was identified as Woodrum Elliot Woolwine, 72. He was taken to an area hospital, where he was pronounced dead. Seven other people were also hospitalized. Police did not disclose the extent of those injuries. Residents around that intersection are familiar with crashes, but this one was different, said Veronica Robles, who lives along PCH within a few buildings of where the crash took place. Another neighbor, named Lourdes, was also home, and witnessed the aftermath. She said she saw people crying, people bleeding on the ground, and that multiple people ran to the scene with fire extinguishers. The crash snarled traffic on Pacific Coast Highway well into the night. Police did not reopen the intersection until 11:08 p.m., eight hours after the crash. Rumors began to circulate that the driver was drunk, the vehicle was stolen from a nearby car wash, and that the crash came at the end of a police pursuit. However, police said those rumors are untrue. “According to the traffic investigator, no, the story about the car being stolen and about the pursuit was put out by a transient at the scene and has no basis,” said RBPD Lt. Shawn Freeman. Chris McKenna, owner of the Redondo Auto Spa on Torrance Boulevard, said the driver wasn’t a thief, but a regular customer at his car wash. Woolwine, he said, had pulled in as if he was going to purchase a car wash when he appeared to have a medical emergency and pressed hard against the accelerator. From there, the car tore through the car wash lot and jumped the curb, taking out trees and landscaping, before ending up on Torrance Boulevard. The cause of the crash is still under investigation. An autopsy from the L.A. County Coroner’s Office is still pending.